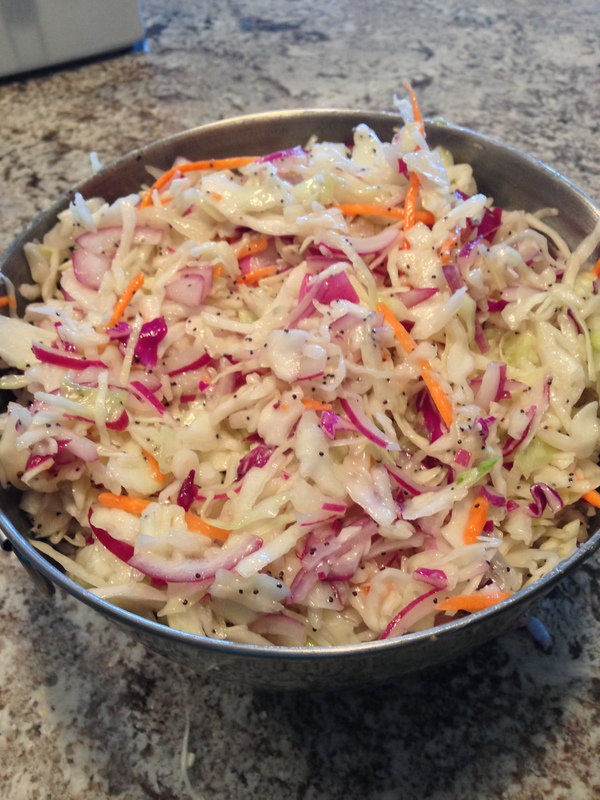 Coleslaw is an easy to make summer staple. A flavor that will cool you off when eating spicy BBQ but not get lost in the meal at the same time. I found a recipe a few years ago that I changed very slightly to the version I made today. It is just a little creamy but has a nice punch of vinegar at the same time. 1. 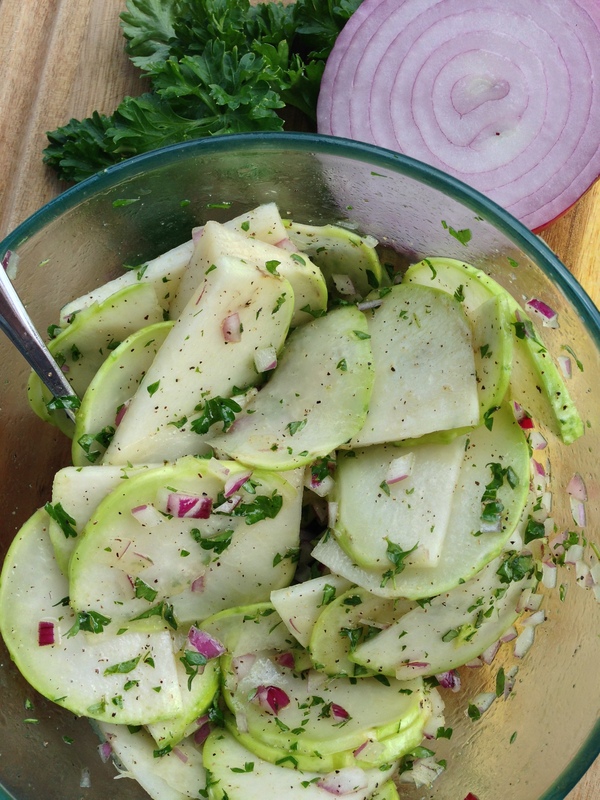 Mix together the mayo, vinegar, oil, sugar, salt, poppy seeds into a creamy dressing as shown above. 2. To this, add your chopped red onion and coleslaw mix until everything is evenly coated. 3. Allow it to sit in the fridge a few hours before serving.